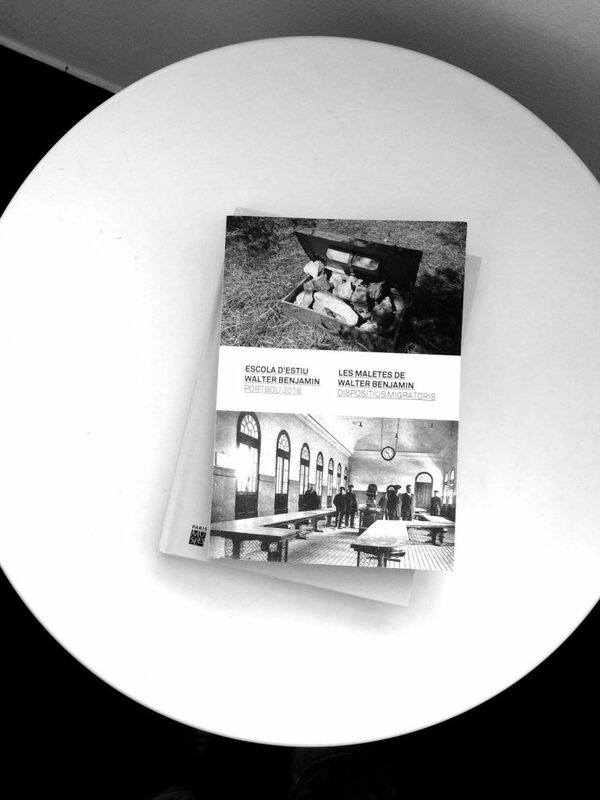 Exhibition catalogue “Les maletes de Walter Benjamin – Dispositius Migratoris”. Portbou, Madrid and Barcelona, between september 2016 and september 2017. From a suitcase, apparently empty, emanates a 20-minute sound report made from the recordings made along the photographic missions of The Crossing. It is a matter of evoking: on the one hand, the crossing of frontiers – in this case Portuguese-Spanish – as a metaphor for the transition from one condition to another; and on the other, Benjamins’ problematics from the anonymous flâneur, to the memory, to the aura, to the narration, to the transmission.